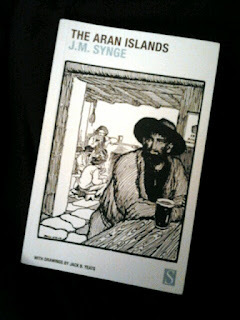 In 1898 John Millington Synge made the first of numerous trips to the Aran Islands in an attempt to record and archive the stories, poems and songs of the three western islands off the Galway coast. The memoir he kept of this time makes up this 226 page book, replete with stories of the wonderful characters he met along the way and all their stories. He captures a way of life that is long gone now and it is lucky for us that he took the time to make the often perilous journey to the islands because we now have this wonderful archive of material for posterity. What is most impressive is the love he clearly feels for the islanders, especially those on Inismeain. He is in no way condescending or judgemental about their way of life which must have been so alien to him. In fact, he longs to be part of the community and returns again and again to visit them. By the end of the book, he is treated as almost family, having his own room ready for him on arrival and even entertaining the locals with his fiddle playing. At last, he had a practical use on the island; to provide music and entertainment when musicians were scare. The most poignant moment of all for me was when Synge recounted a story of a young man who had returned to the island from America, dressed in a fine suit of clothes. His mother ran around the island telling everyone joyously that her son was home, until she learned the truth, that he was ill and had come home to die. This story has extra meaning for us today, as we know that within a decade Synge too would be dead, at just 37 years old, having been diagnossed with cancer the year before his first trip to the island. So maybe Synge was trying to find some answers about life and death on the islands, or perhaps he sought inspiration living with those who had so little in comparison to himself. I imagine he is thinking of flamingoes but the romatic imagery is somewhat spoilt when we learn of the many cases of rhuematism on the island caused by sea salt remaining on washed clothes, which kept them continually moist. So this is much more than a travel book as it is sometimes described, written as it is by one of Ireland's foremost playwrights. 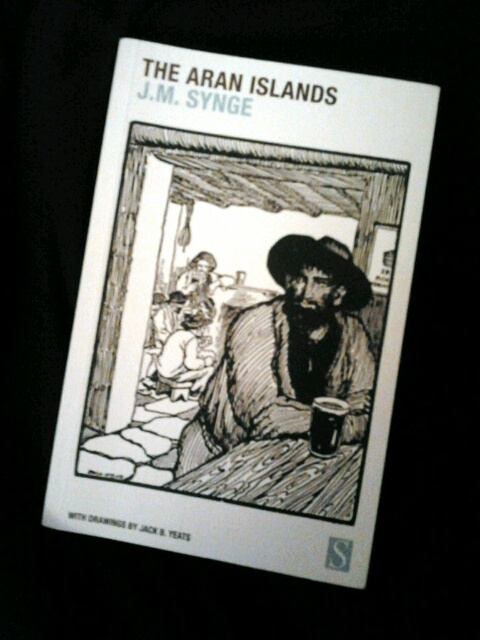 There is no denying that life on the Aran Islands was horrendously tough, for both men and women, but Synge writes no sob story here. Instead, he focuses on the unique charm and vitality of the islanders and details their way of life as true, essential and in many ways superior to life on the Irish mainland. 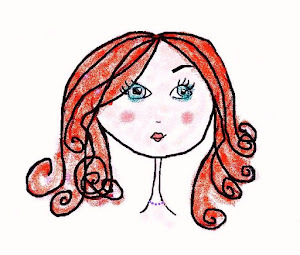 Thanks Addrianna, long may it remain so. Maybe we can take some of that simplicity back with us when we leave - to help us focus on what really matters in life when the rat race beckons!